Brazil’s currency is on a winning streak. 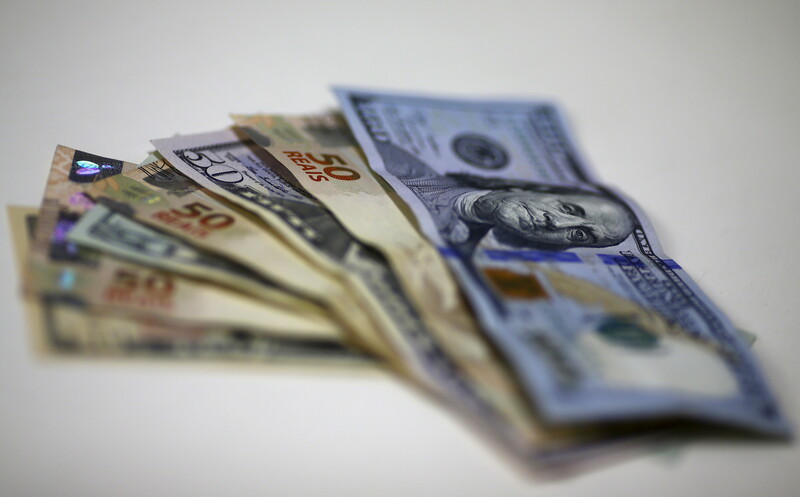 Buoyed by investor interest and hopes that the new government will lift the economy out of recession, the Brazilian real has seen gains of almost 24% against the American dollar in the past year. Other emerging-market currencies have turned in strong performances against the dollar. 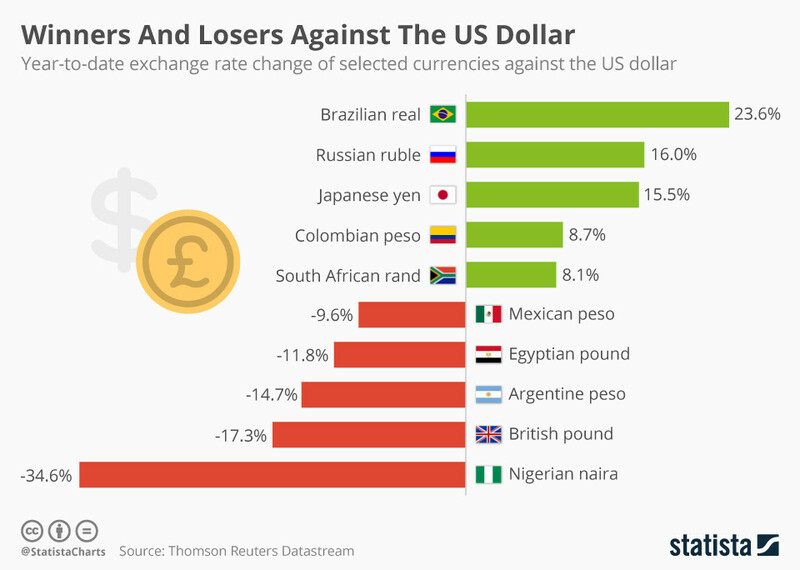 This Statista chart from 18 October, based on the 30 currencies monitored by the Thomson Reuters Datastream, shows the Russian ruble up 16% and the South African rand up 8.1%. At the other end of the scale is the Nigerian naira, in crisis after being hit by low oil prices. The plunge of the British pound, meanwhile, following the Brexit vote, has made it one of the year’s worst-performing currencies. As of 18 October, the pound’s year-to-date fall against the dollar was 17.3%. Amid fears of a "hard Brexit", investors have been shedding sterling. The currency is at a 31-year low against the dollar, and some analysts believe there may be further drops to come. Have you read? What is shaking world currency markets? It may be time to introduce a new world currency How does a strong dollar affect emerging economies?